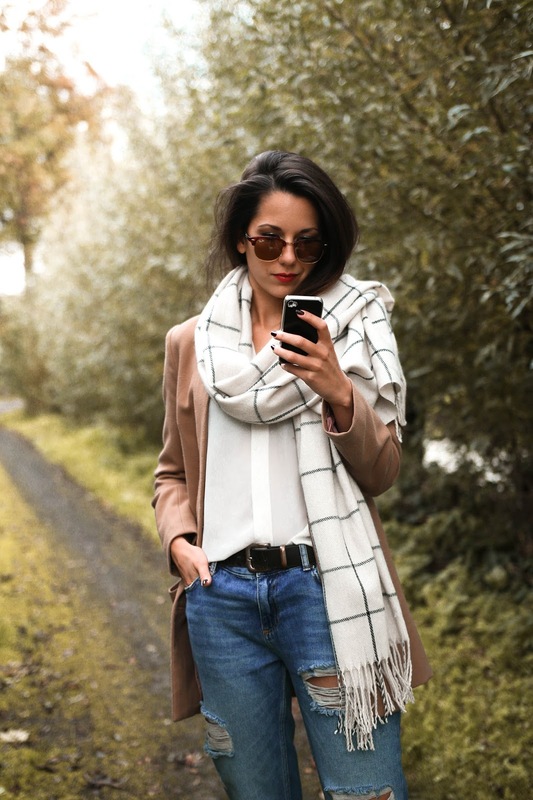 Today i'm showing you some new items by Pieces; this pretty checked scarf and the boyfriend jeans. The scarf brings me totally in an autumn mood; it's getting colder so time for gloves, scarfs and beanies again! I also love the fitting of the boyfriend jeans, it's really comfy. I do have to wear it with a belt tho otherwise it's too big (I'm wearing size s. Further I'm wearing a coat by H&M and top Esprit. Your autumn outfit is evrything! I love the scarf! Such a beautiful outfit. The scarf is perfect! Love that coat, perfect for autumn!